Global Health is a topic that concerns not only the field of medicine, but also those of political science, social sciences, geography, history and information technology. Global health encompasses both the arena of study and research as well as medical practice and policymaking. The multi-discipline approach aims to understand the various factors responsible for global health, to improve worldwide health and to realize the goal of equality in the health system. 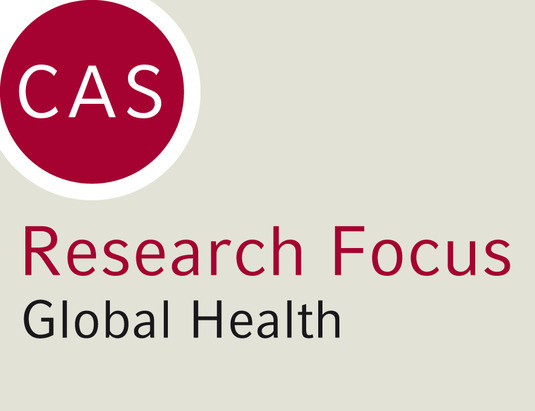 The CAS Research Focus "Global Health" aims to connect all the teaching and research activities at LMU concerning global health, beyond the boundaries of the individual faculties, and to examine the initially medical questions also in terms of their socio-political implications and ethical dimensions. Common interests are to be determined, with new cooperation and joint projects to be initiated in the long term. Lecture Series – "Lecture Series on Global Health"
Lecture by Prof. Paul Garner – "Systematic Reviews: What have they ever done for Tropical Medicine?" Lecture by Dr. Stefan Oschmann – "Cross-sectoral Collaboration – The Key to successfully combating neglected Tropical Diseases"
Lecture by Dr. Martin Herrmann – "Climate Change and Health – The Case for Transformation and the Hidden Story of Power (and Powerlessness)"
Workshop – "Global Health an der LMU"
Lecture by Prof. Dr. Ilona Kickbusch including Screening – "Global Health & WHO"
Lecture by Prof. Angus Dawson, Ph.D. – "What is Global Bioethics?" Lecture Series – "Global Health"
Symposium – "Humanitarian Aid and Development Cooperation"
Symposium – "Protecting Workers' Health – Global Challenges and Opportunities in Work related respiratory Diseases"